Where do they estimate the good old fashioned Chiropractor to be in the future? There are just a few quick thoughts on the state of all things Chiropractic. Although Chiropractors are still under the umbrella of “alternative medicine” it is obvious that it is becoming a much more recognized form of legitimate healthcare. Chiropractic is actually the largest of all the alternative care professions big a sweeping margin, both in utilization and numbers. The days of “those quack chiropractors” is fast becoming a thing of the past. The number of more medically-based and evidence-based chiropractors coming out of school and applying it into a sports medicine and rehab based clinic setting is now becoming the norm. There are of course still some of the old ways out there, but even these practitioners are becoming more comprehensive, utilizing massage or acupuncture or trainers at their clinics. Oregon…specifically Tigard, OR (shout out to the Tigers!) 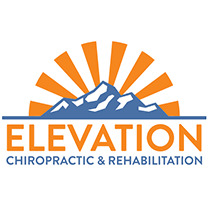 is one of the leading states in the US that has great sports based chiropractic, mainly because of the large alternative care movement and the multiple world-renown medical – both conventional and alternative – universities that are located here. Regardless, to make a long-winded story short…or at least shorter….it’s quite clear that there is a gaping hole in regards to conservative pain treatment in America’s current medical model. It’s incredible how many new patients present to our clinic who have already tried the conventional medical model, and are using us as their “last resort,” and end up having a great response to treatment. There’s not only the pain relief approach, but also overall health promotion – teaching changes to exercises, recreation, ergonomics, and diet/supplementation. #1 – Chiropractors are the most highly rated doctors for back pain. We rank above medical doctors, surgeons, specialists, orthopedists, and physical therapists in regards to patient satisfaction. #2 – Chiropractors continue to regularly outperform other treatments in efficiency of treating low back pain – studies show they perform better than medications, massage exclusively, over the counter meds, and mild exercise classes like yoga and pilates. #3 – Chiropractic services are one of the safest and most effective treatments for back pain, neck pain and headaches. Chiropractic malpractice insurance is the lowest among all doctors; this is because they have some of the lowest chances of patients having a poor reaction to treatments compared to other doctors. Learn all about driving on icy roads here.